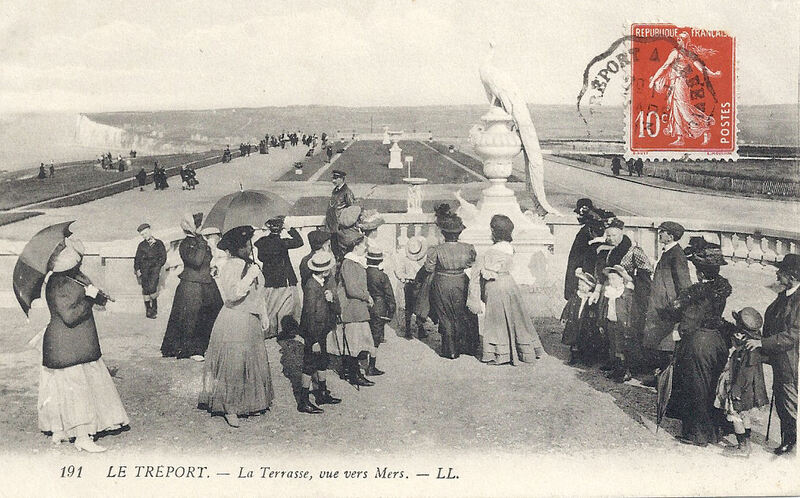 Le Tréport. Almost a hundred years on. On examining the card and the women’s headdresses, Sue Light, www.scarletfinders.co.uk., suggests that this is the funeral of a nurse. She says that the only nurse buried in this cemetery is Margaret Arnold, daughter of publisher Edward Arnold. 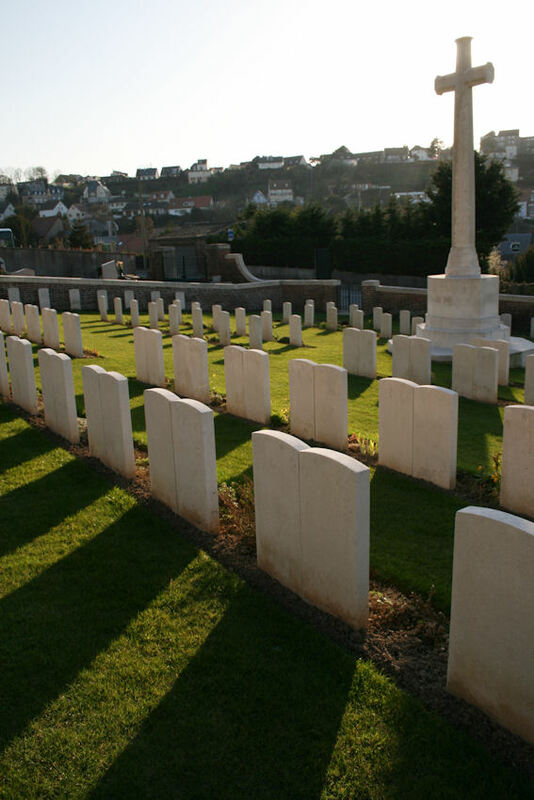 Miss Arnold died on 12th March 1916, and as her father was a prominent figure, the funeral was posponed to allow him to attend with another daughter. I’m indebted to Sue for her insights and for the references from the war diary. Thanks, Sue. I recommend her website and blogs for a most interesting read! 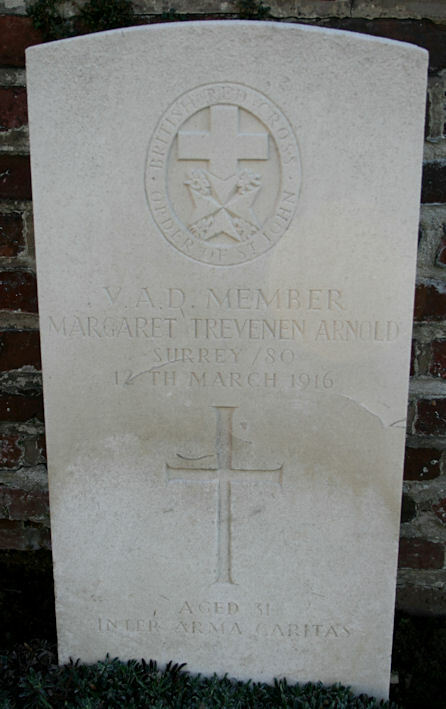 Edit: I visited Margaret’s grave in March 2012. 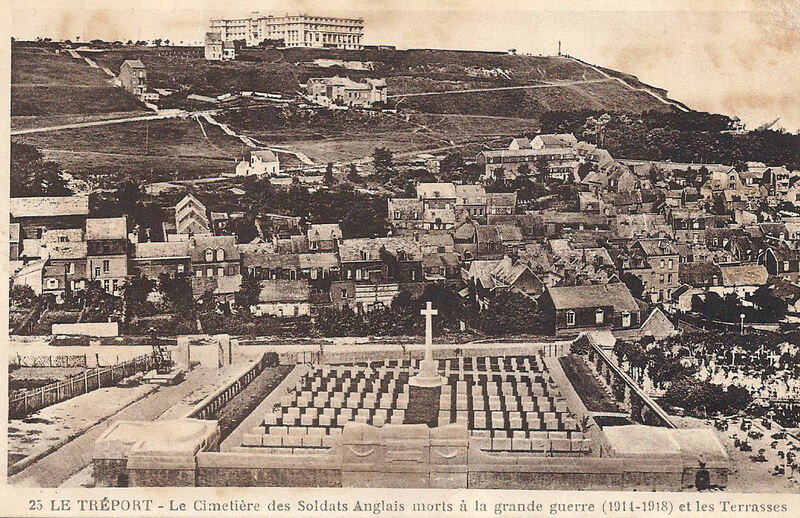 An account of Arnold’s death and funeral can be read in the book ‘Dorothea’s War’ by Dorothea’s Crewdson, who worked alongside her. Thank you for the recommendation. Sue Light (Scarletfinders.co.uk) praises the book highly in her review on Amazon. I’ve added it to an order. 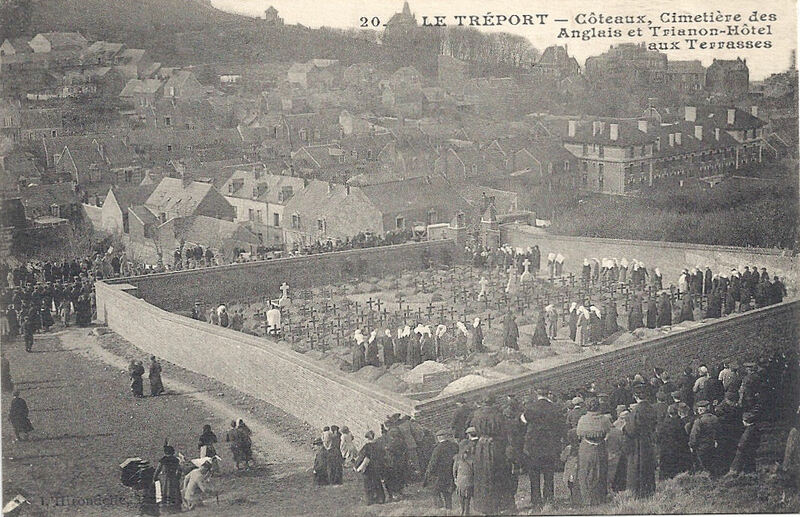 Though my principal interest is the war in the Vosges (my site is http://thebluelinefrontier.com/ ) I was intrigued by the postcard because I know le Tréport well, and I decided to find out whose the funeral was. I’ve now bought Dorothea’s War and am looking forward to reading it.